We are delighted to announce the sponsorship of our favourite #7, James Hyde. We believe that even a small push can change the future of the new athletes giving them support to train and reach higher levels. And with that in mind, we hope we can help James open new doors, growing stronger and focused. 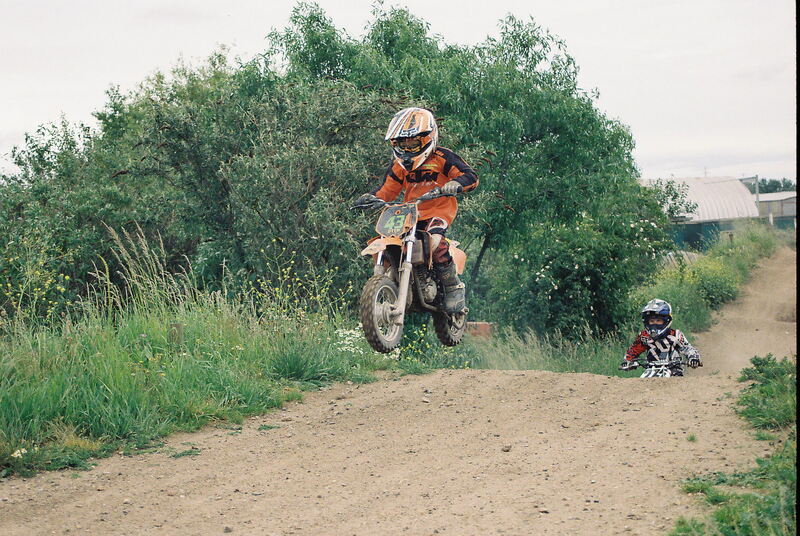 James has always been interested in bikes and was riding a Yamaha PW50 from five years old, at six he joined Docklands Riders, a practice-only club and he began to hone his skills. 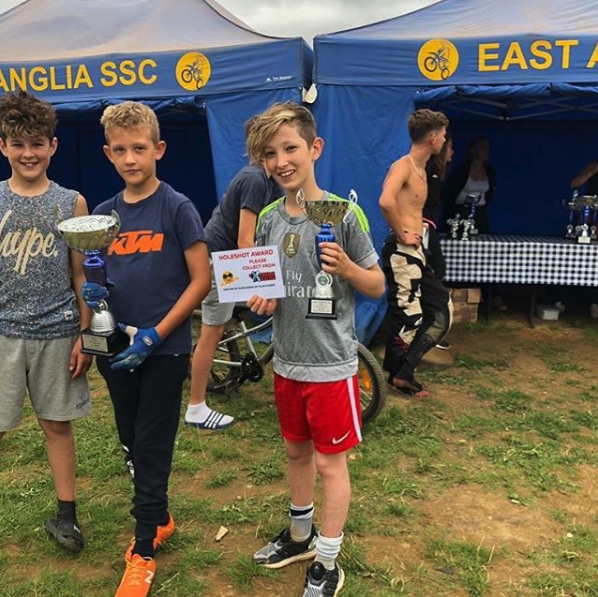 4 years later he was looking for a different challenge, and so he and his family decided to try racing, so he joined the East Anglian Schoolboys Scramblers Club (EASSC). The club that he still race with today, and although he didn’t know it at the time, it’s one of the top clubs in the country. In his first year, he was 17th, the following year 15th and this year 11th, with the best placing of 3rd out of 40 riders. 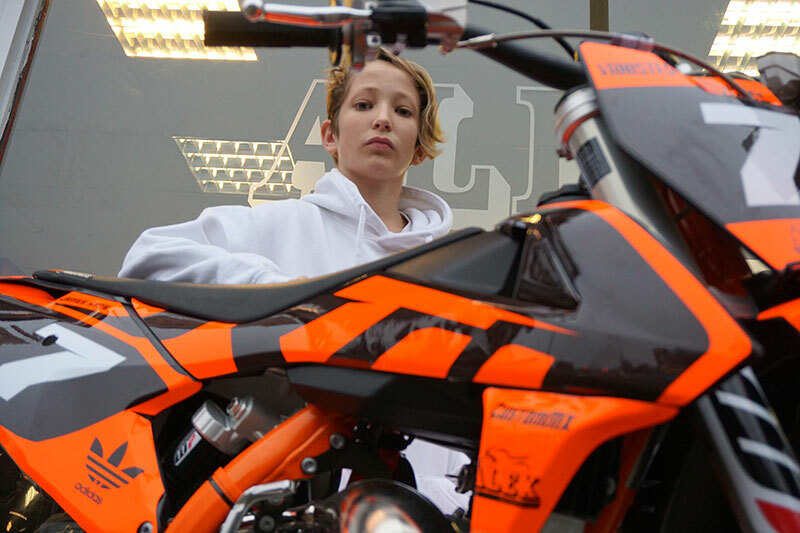 James now 13 years, is a fast rider with distinctive style. 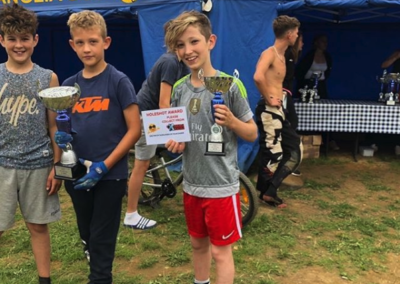 He is always exciting to watch, his high corner speed, bravery and diminutive size will all work to his advantage as he progresses as a rider and becomes a young man. Well done James. You deserve it . All that hard work paying off . All the best from us all at docklands riders and the Dirtriders club . Congratulations to James, since Ive known him, he has always shown a lot of talent and interest in Motorcycling. 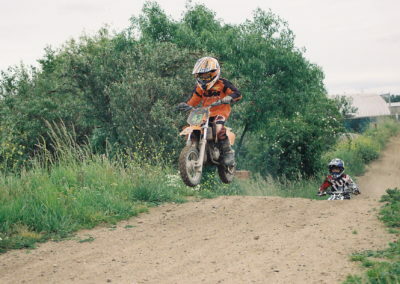 He is very talented and im sure that he will be a great rider in the future as he is now. We are very please to hear that James is doing so well. We knew he is very talented and enthusiastic at his riding, and wish him success in his future. His mother and father, Debbie and Ben must be very proud of him. We are in awe of James’ ability to ride with such courage and commitment. We feel sure he has a bright future ahead of him. James is a very dedicated and talented young sportsman, supported and encouraged by his family especially his Dad who travels miles with James to events. It is wonderful that companies like yours sponsor young people like James enabling them to meet new challenges and go further in their chosen sport. Well done James we are all very proud of you. Such a talented little guy! Braver than most men! James is very talented young rider and always stands out from the crowd. 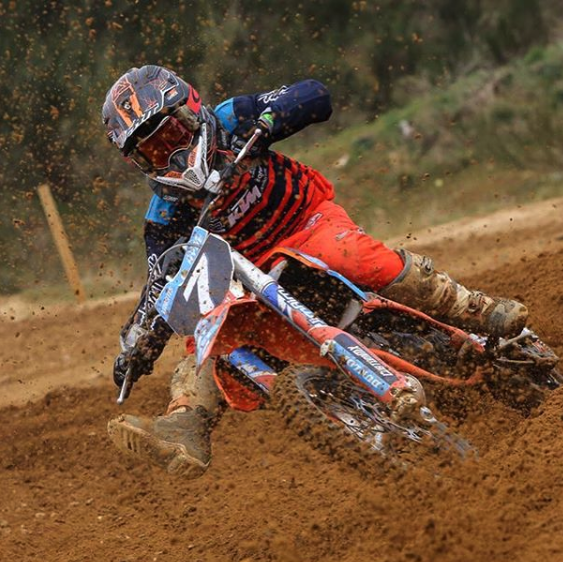 I hope to see James on the MX scene for many years to come! I wish you all the very best for the future…See you on the track. Well done! 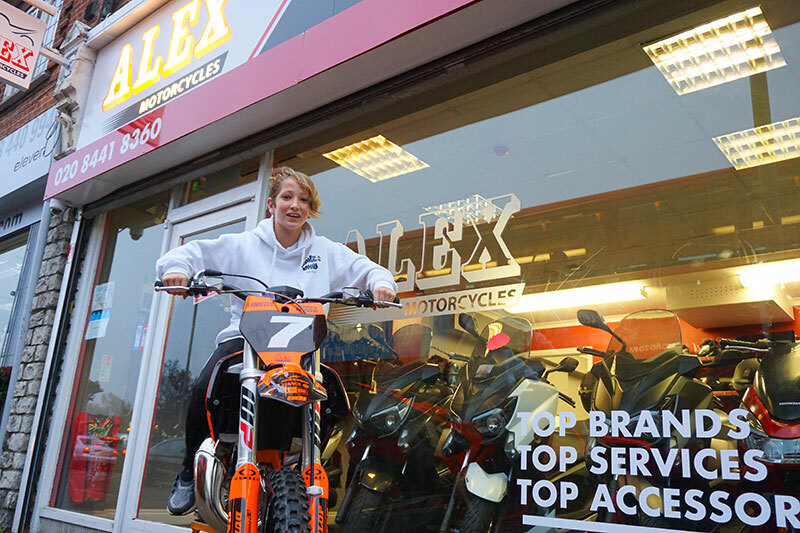 How amazing for James to receive sponsorship from Alex Motorcycles! Such a generous investment in a young rider in your community. I am sure James will honour your investment in spades by becoming the best rider he can possibly be (and that is very good indeed). Thank you for pushing a new generation of athletes and helping them live their dreams. Via fb I have followed James Hyde’s for several years now. It is great to see with what kind of passion and will power that boy dares to shave through the curves and risks himself to make such high jumps in the air. Also incredible to see how his parents and older brother support him in his passion. I am proud to see what he has achieved so far. A promising young man, there’s no doubt about that. A big congratulations on my behalf following you from Brussels in Belgium! Lode. AMAZING!!! James is such a talent. You’re definitely sponsoring the right person. 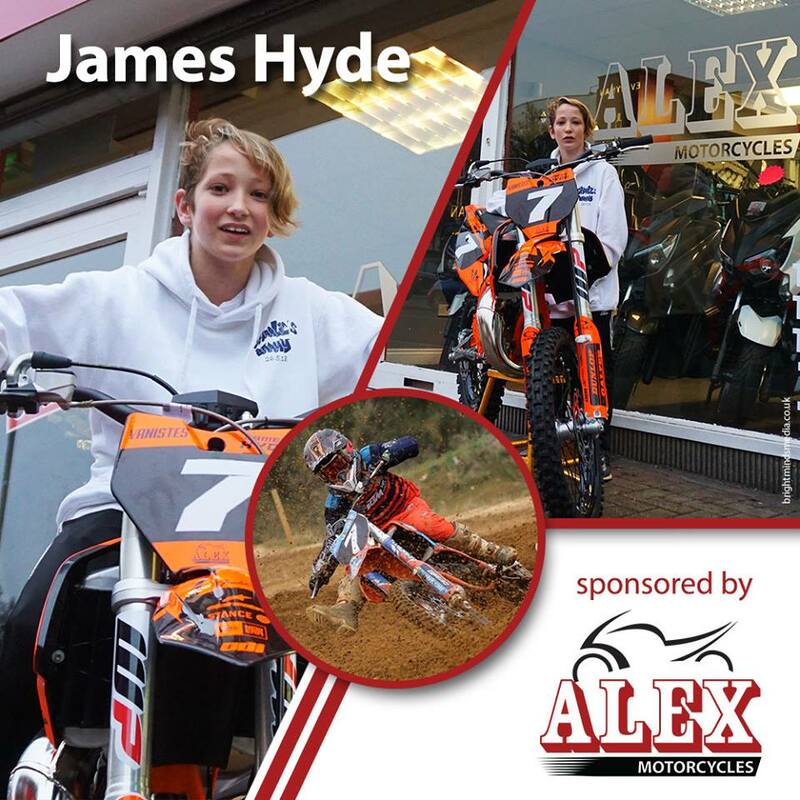 Wishing Team James Hyde all the best in 2019 in the big wheels class. An amazing achievement! 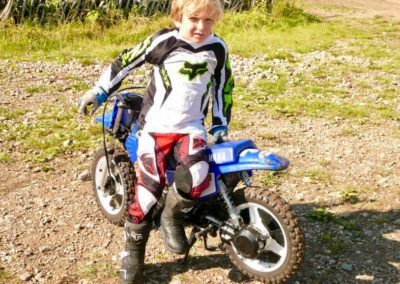 I remember how passionate you were when you brought your bike in for “show and tell” at primary school when you were just 8 years old and how impressed we were. I wish you all the best and am sure your tenacity and drive can take you to the top! Clearly a talented young man with a great future ahead of him. Well done for sponsoring him. Ho conosciuto questo ragazzo in Inghilterra, visto girare, grande polso. James gives everything he does 250% so I am sure he will seize this opportunity with the same passion! Go James! Well done, James! Tremendous performances so far and, now, with the right backing, greater things to come! 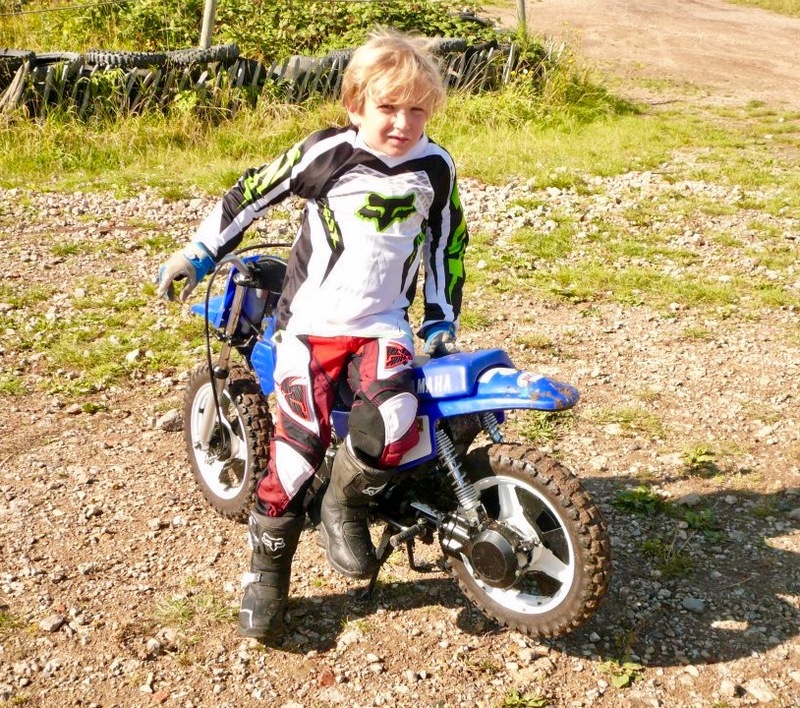 I am very proud of my young grandson who has shown courage and skill from a very early age. His high leaps stand out from the average rider of his age group. 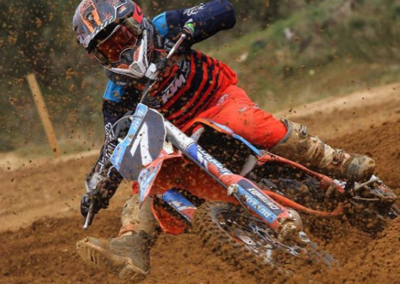 James “7” is a fast as well as a cautious rider. Many thanks to Alex and Claudia for showing belief in James’ future and for generously sponsoring him. Super leuk dat jullie bedrijf dit soort initiatieven toont, ik ken James al sinds hij een klein mannetje is en hij is altijd een bevlogen rijder geweest. James I am so proud of you. 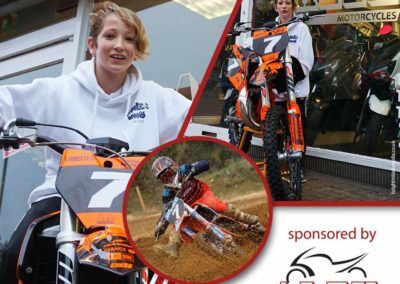 I’m also delighted that Alex’s Motorbikes are sponsoring you. 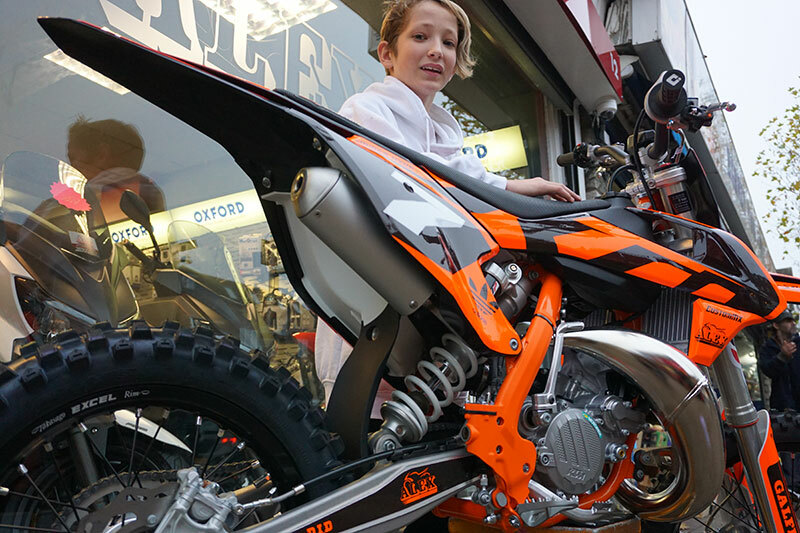 It’s so good that they are supporting the next generation of motorcyclists alongside running their own business. A fantastic achievement all round. Well done James for the progress you’ve made. 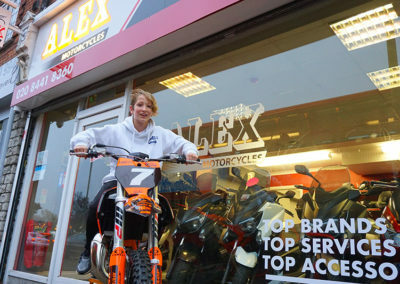 And many thanks to Alex Motorcycles for the help with sponsorship. Hopefully a partnership that will go from strength to strength. I look forward to watching at one of the meetings soon. Keep enjoying it. It is great to have such enthusiasm as you clearly show. Go James!!! Great rider and an even greater guy! Good luck! James Hyde, the next big thing! Very well deserved James. Such a pleasure to watch you progress over the seasons. 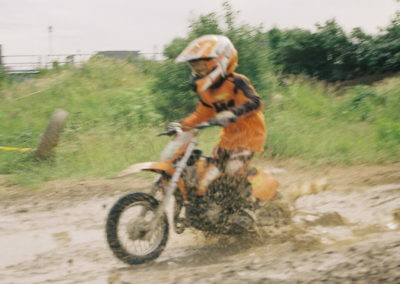 Some great racing last season on the sw85 keeping the paddocks entertained. One of many highlights for me this season would be the Hole shot and superb race at Wroxton for Eassc – Superb! On and off the track an amazing young man. Great to read this story about James and to hear about the generous sponsorship. Best of luck with the 2019 campaign! Parabéns James seus amigos aqui no Brasil estamos acompanhando sua evolução desde o seu nascimento. Estamos orgulhosos com suas conquistas no esporte você é muito habilidoso e talentoso. Well done! Desejamos muito sucesso! Maravilhoso parabéns!! 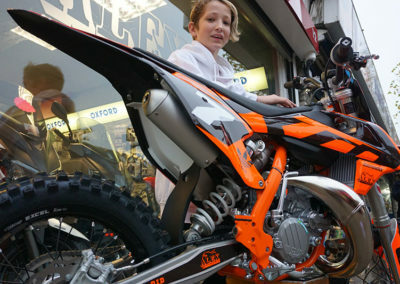 eu vi James nascer lembro como fosse, lembro quando ele começou a correr bike quando pai dele Ben comprou sua primeira moto!!! Ele é fera vai ser campeão dos grande!!! Estamos aqui torcendo por vc James!!! Good to see young talent being supported! Keep up the good work. This is so great!!! Couldn’t agree more, how important it is to support our kids. Well done James Hyde! I wish to add a note of caution. For example: now there’s an off- season he could concentrate on bike repair etc and not just be the pilot. Give dad a break. He should not forget his studies at school. Great to see a local business supporting a talented young local sportsman. I’ve seen James race a couple of times and he clearly is a young man with talent and great potential. I’ll be watching his progress with interest. All the best to team James Hyde next season.